Lumbar Microdiscectomy is a minimally invasive surgical procedure performed to remove the portion of a herniated disc on the lower back that is pressing, irritating or inflaming the nerve root. Microdiscectomy is performed using a microscope through a small incision in the midline of the low back and it is done to decrease pain and allow you to regain normal movement and full function. This procedure causes less damage to surrounding tissue. Lumbar Microdiscectomy is performed through a small incision, about 1-1.5 inch, in the midline of the lower back. The back muscles (erector spinae) are lifted off and moved aside to expose the bony arch (lamina) of the spine. From here, the surgeon accesses the spine removing a membrane over the nerve roots (ligamentum flavum), and uses either operating glasses (loupes) or microscope to visualize the nerve root. The nerve root is moved to the side and the herniated portion of the disc is removed, while healthy portion of the disc is left intact. After the piece of the disc that is irritating or inflaming the nerve root has been removed, the pressure is off the nerve immediately. It may take anywhere from weeks or months for the nerve root to fully recover and heal. However, most patients have reported feeling relief from painful symptoms of herniated disc, such as severe leg pain or lower back pain, immediately after a Lumbar Microdiscectomy. Gerald Alexander, MD, your Orthopaedic Spine Surgeon in Orange County, specializes in Lumbar Microdiscectomy. Dr. Alexander has over 17 years of experience in spine treatment and care. He completed his spine surgery fellowship at the internationally-recognized UCLA Medical Center and was trained by two of the country’s top orthopaedic spine surgeons, Edward Dawson, MD and Rick Delamarter, MD. 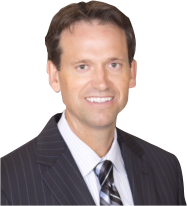 Dr. Alexander has helped pioneer cutting-edge techniques, such as Artificial Disc Replacement, Outpatient Microsurgery, and Minimally Invasive Spine Surgery, as alternatives to traditional spine surgery. He has been awarded “Top Doctor” in Orange County by the Orange County Medical Association (OCMA) and Orange Coast Magazine. Using modern surgical techniques and specialized instruments, Dr. Alexander has performed hundreds of minimally invasive outpatient spine surgical procedures that traditionally would have involved lengthy hospitalization.